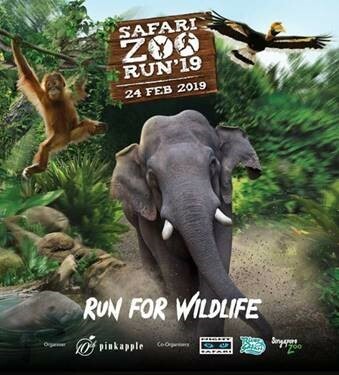 Safari Zoo Run 2019 | JustRunLah! Singapore, 22 November 2018 — New green initiatives will lead the way for runners taking part in Safari Zoo Run 2019, with Wildlife Reserves Singapore (WRS) encouraging participants to bring their own water bottles to reduce single-use plastic. In keeping with the theme of the race—Run for Wildlife—WRS will also do away with plastic wraps for race tees and finisher medals. For the first time in the run’s 11th year history, participants will be able to traipse through River Safari for a glimpse of the river dwellers and an opportunity to say hi to park icon Canola the manatee at the Amazon Flooded Forest. 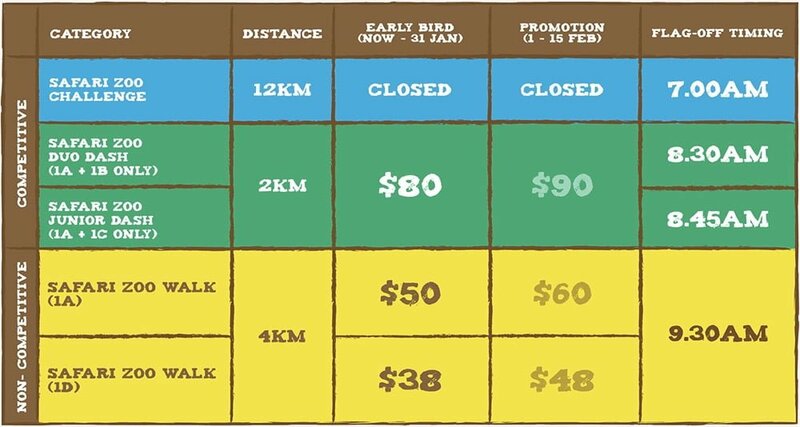 Previously, runners only raced through the lush pathways of Night Safari and Singapore Zoo. This forest-dwelling duo want to raise awareness on deforestation and protect the homes of their forest inhabitant friends. Join them and pledge to start using sustainable sourced products such as FSC-certified items. Canola is garnering support to protect her river-dwelling neighbours and provide cleaner homes for them by reducing single use plastic that have destroyed their watery environment. Pledge to reduce the use of single use plastic by opting for refillable water bottles. Sunny’s wish is for everyone to enjoy cleaner air. Pledge to reduce your carbon footprint by taking public transport instead of driving! Safari Zoo Run 2019 will also see the introduction of new race categories to further encourage family bonding. The Safari Zoo Duo Dash and Safari Zoo Junior Dash will allow adults to team up with their children for a competitive 2km race. Experienced runners will get a chance to test their endurance with the 12km competitive run—up from 10km last year. Families can opt for a leisurely 4km stroll as they appreciate nature and wildlife along the way.